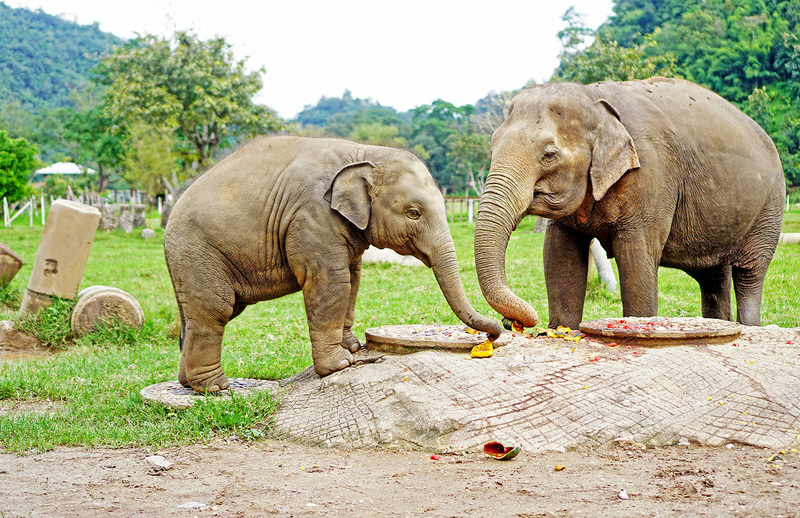 My sister and I were adamant about spending a day with elephants while we were in Chiangmai. 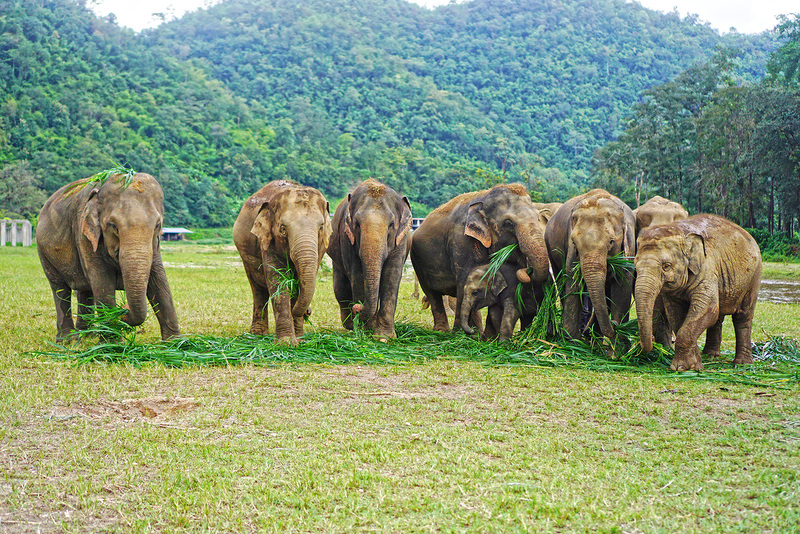 It was non-negotiable and we were determined to meet these gentle giants. Choosing where to do it, however, was the most important thing. 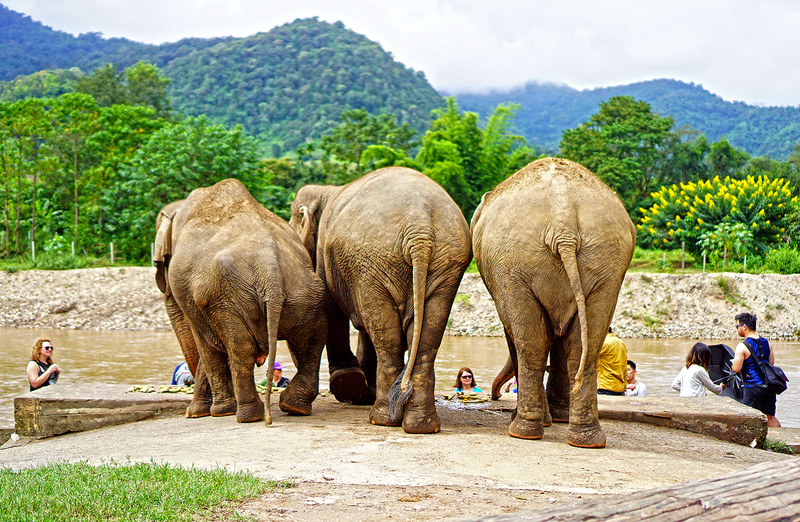 There are plenty of elephant camps in Chiangmai, but among them, Elephant Nature Park is the only sanctuary and rescue centre for elephants. 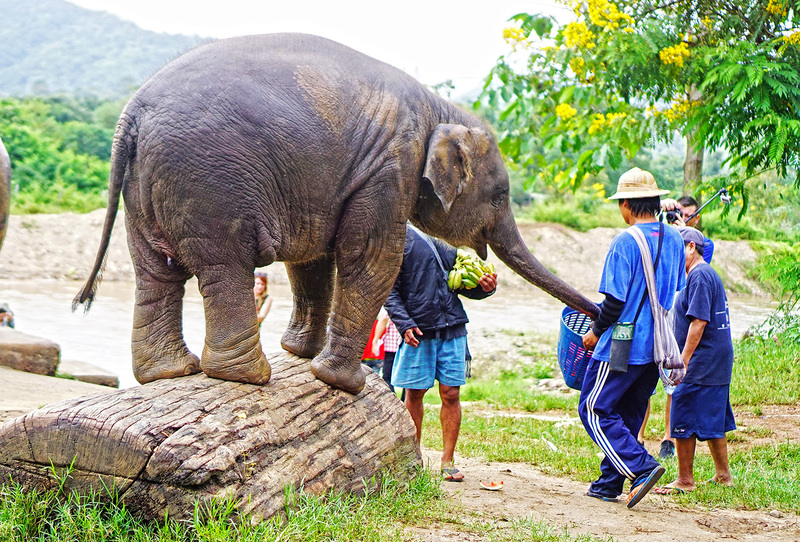 Rather than giving shows, fancy gimmicks and elephant rides that are usually painful and harmful to elephants, they focus on healing, rehabilitation and conservation. 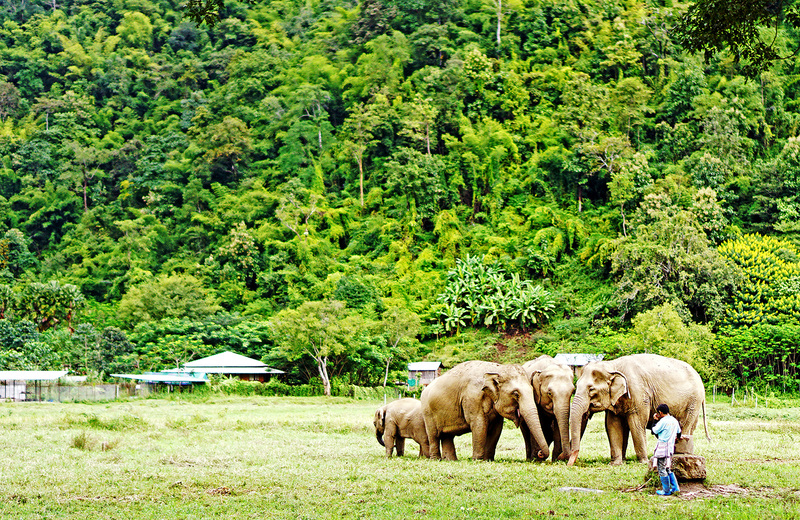 The Elephant Nature Park was founded by Sangduen “Lek” Chailert. 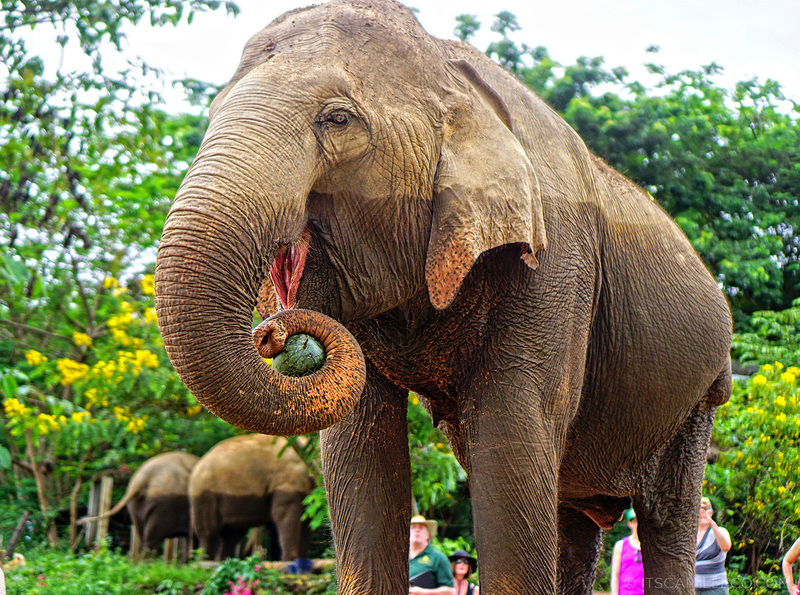 She rescues distressed elephants throughout Thailand that include disabled, orphaned, blind, and tortured elephants of all ages. These elephants have gone through so much! Forced to work for street begging, logging, tourism and more, they’re usually abused and malnourished. I actually watched a video about it while I was in the camp. 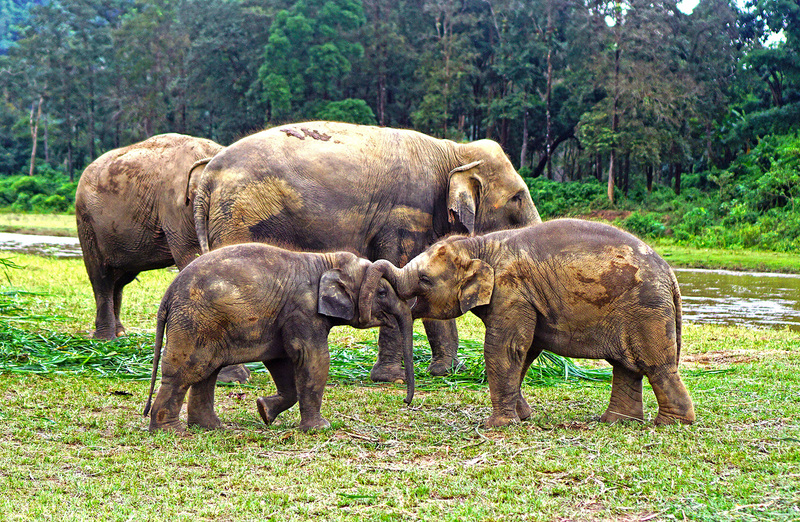 I couldn’t believe my eyes when I saw how these elephants were trained. Their mahouts or owners would torture them by hitting their legs, poking their eyes and tying them to cages for days without feeding them so that they learn to be submissive. Lek either takes them in from owners who give them up voluntarily or buys them so that she can provide these elephants with better care. 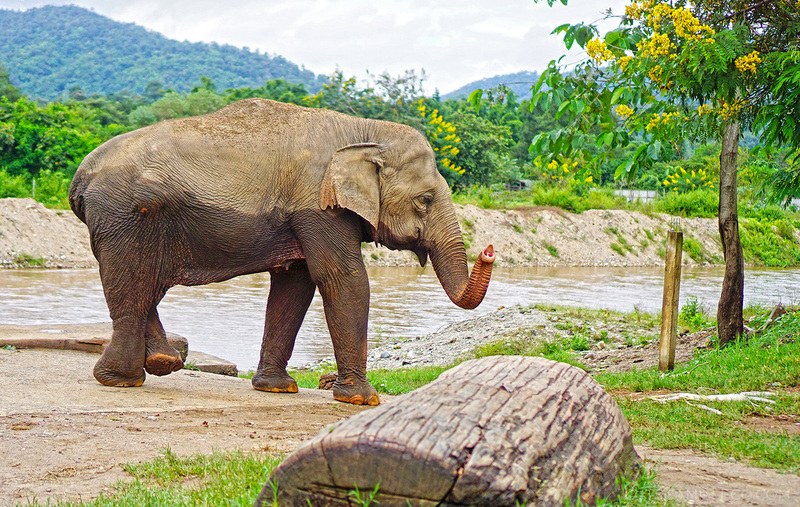 As expected, most of these elephants arrive with great mental issues aside from their physical wounds, so Lek allows them to heal and live naturally in their self-chosen family groups. She’d build a relationship with them by showering them with love and positive reinforcement. This is how she trains the elephants and this is why we chose to spend our day at her park. It was beautiful seeing these elephants in their natural element. I got to feed them, bathe them (they bathed me too. LOL), and touch them. It was an experience like no other. One that is most rewarding and has given me great insight as to how elephants are. They are a fiercely loyal and caring bunch. And this is just one of the many reasons why I’ve fallen head over heels in love with them. 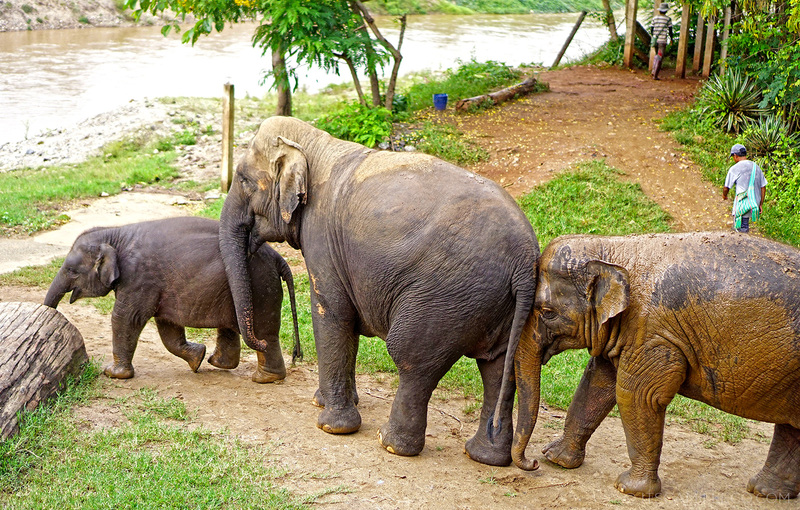 (I can’t even count how many times I said “awww” whenever a baby elephant walked past me.) The day was already over and I was still on a high from meeting them! It’s definitely the kind of high no elephant show or ride could ever give. Best trip ever! Beautiful photos! I think I know what I’ll be saving up for. I have a soft heart for animals and I can’t help but feel sad for these gentle giants. I really admire Lek A LOT for founding the park. All animals should be treated this way and this post is also an eye opener to people. Animals should be loved and taken cared of, not torturing them to make profit out of them. This travel diary is one of your bests! <3 A travel with a purpose makes it more meaningful. The question now is, do you still like pigs? Lol! After reading your blog here, I really couldn’t help myself but cry. I hate hearing these sort of things happening because I’m an animal lover. I can’t believe that people used to poke elephants eyes while training them! That one was really ouchy and also spanking them was too much to see! 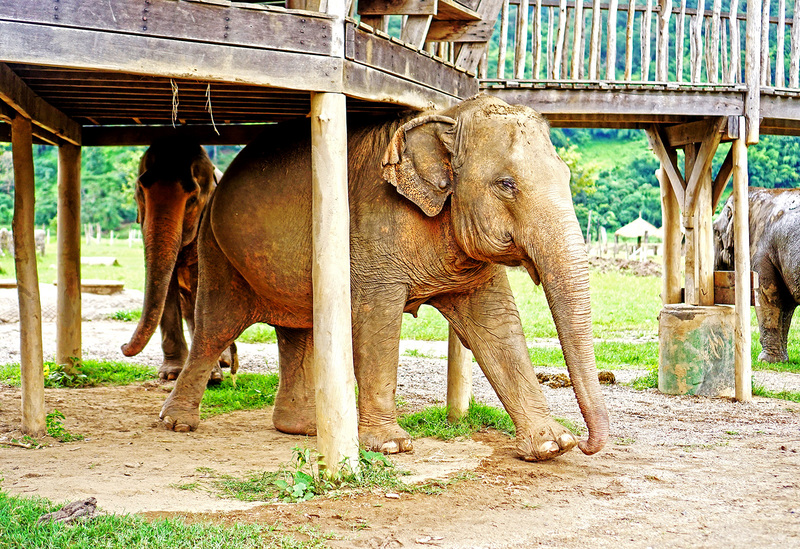 Good thing is that they made a rehabilitation for the maltreated and abused poor elephants. :'( I really admire these people who help in taking care of these poor creatures. This trip, as I could say was one of your very best adventure trip Ate Cams! I hope I could go there too one day! This is so interesting! Beautiful and sweet pictures!! Nice pictures! Thailand looks so beautiful. Seeing you wearing shorts, it must be really nice weather. Here where I live it’s really cold now. You must! I can totally tell you’ll enjoy :) It saddens me we don’t have proper facilities here. Aww, so cute! Thanks for sharing this. We’ll be traveling to Chiang Mai for the holidays and I’ve been looking for places we could visit. Thank you Clang! Enjoy Chiangmai! Thank you Phil! :) Truly fortunate! Absolutely beautiful. Definitely one of my favorite fashion icon and blogger. Care to share what camera and lens you use in your photos? aww I feel so sorry to those elephants :( Good thing someone thought of rescuing them and nurturing them! :) kudos to Lek :) and to you too ate cams for choosing this park instead of the others that were for a show. good thing you weren’t scared of them too haha! Organizations with a purpose! 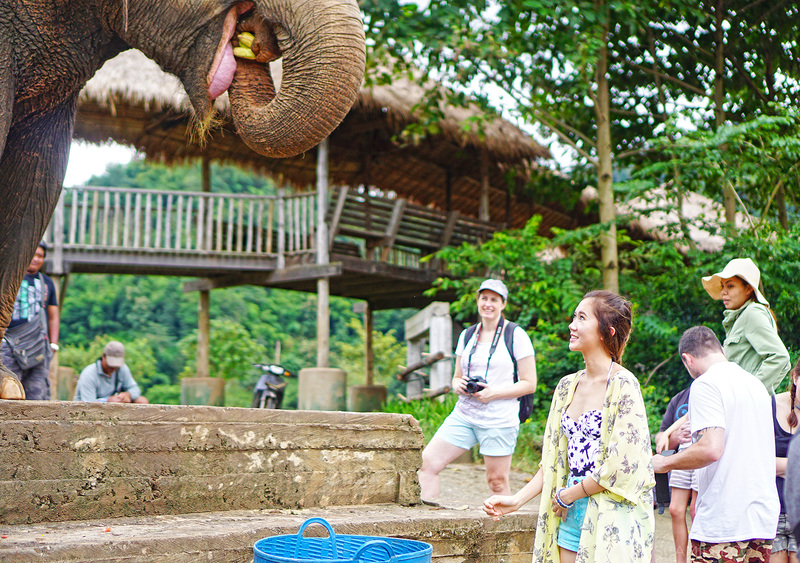 Two thumbs up to the Elephant Nature Park. 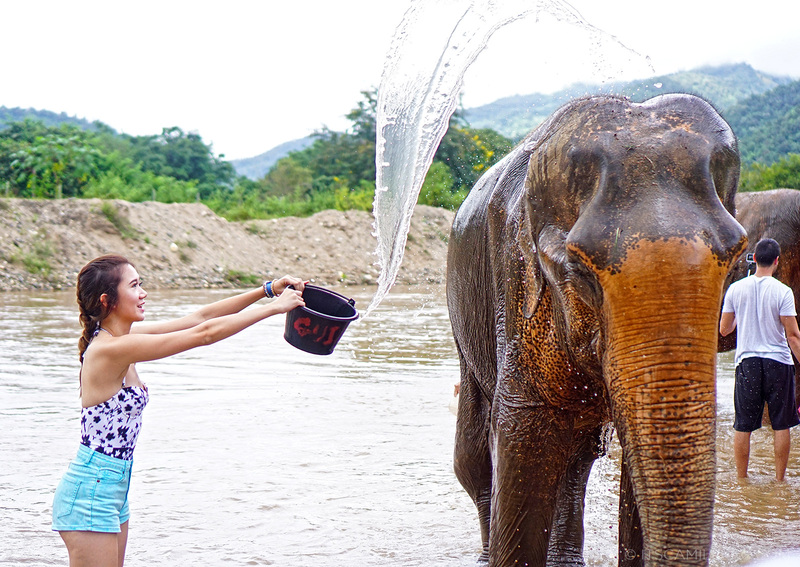 I think the experience of having been able to feed and to bathe (and be bathed by) the elephants feels more rewarding than having to jump on their backs for a ride. Sure it would be fun for us but if it hurts the elephant along the way I’d rather not. It looks adorable to see them having fun. Yeah I agree! And it’s nice to know more about them and those horrible practices. I approve that a must was to interact with elephants!